LOréal Professionnel Homme Clay Strong Hold Clay is part of a range of professional styling products specifically designed to create unique, tailored looks for men, whatever your style is. Absolutely no residue and long lasting style from simple, effective styling products. Rub a small amount of product between your hands and pull through your hair. 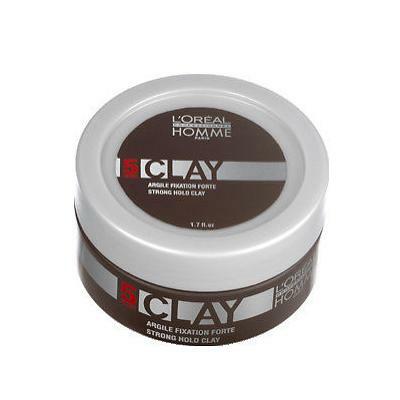 Buy Homme Clay 50ml on-line today at Riah Hair.